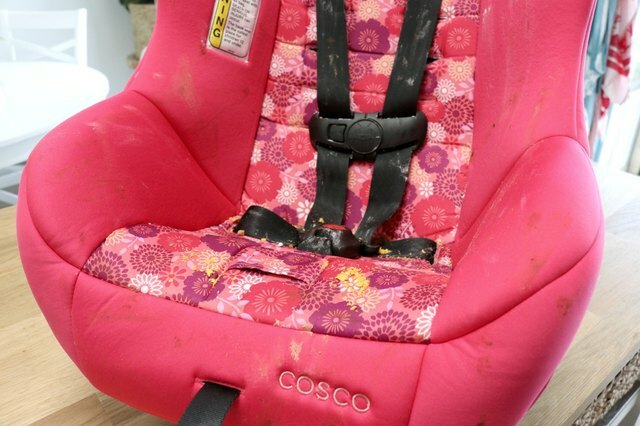 Car seats may very well be one of the dirtiest things on the planet. Between juice spills, milk spills, snacks and accidents, they take a real beating. 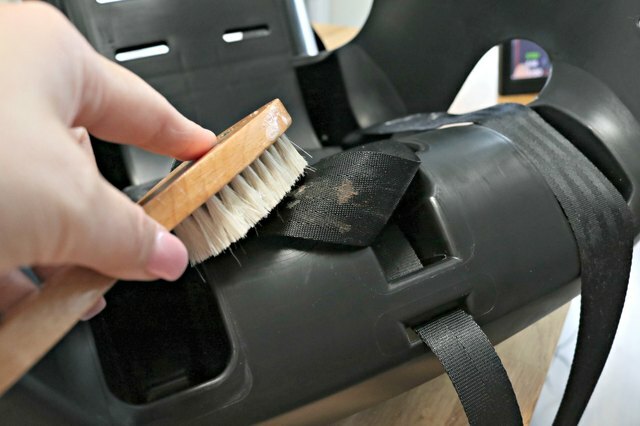 While car seats may seem difficult to clean, they are actually pretty easy to take apart and clean thoroughly. 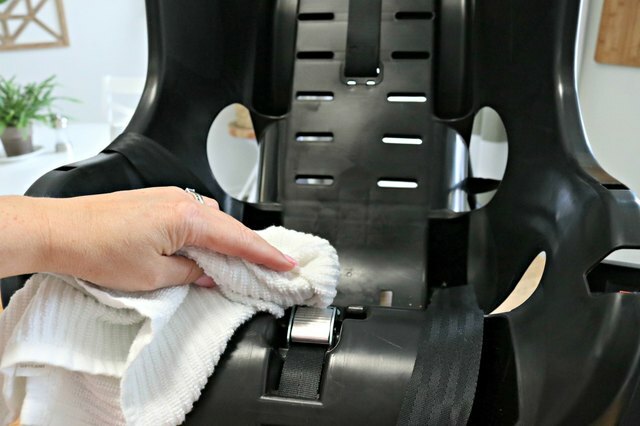 I'm going to show you an easy way you can clean and sanitize your child's seat and make it like new! Step 1: Loosen car seat cover and start to remove. You will have to leave the cover partly attached until you unhook the straps on the back. Step 2: Flip car seat over and unhook the straps and seat belt. Step 3: Turn the car seat back over and pull straps and buckle out. Put the straps and buckle aside for cleaning, and pull cover all the way off. Step 4: Wash and dry the car seat cover. Wash the cover according to the manufacturer's instructions. They typically require you to wash on the gentle cycle in cold water, and then dry on low. Step 5: Make a cleaning solution using dish liquid and warm water. 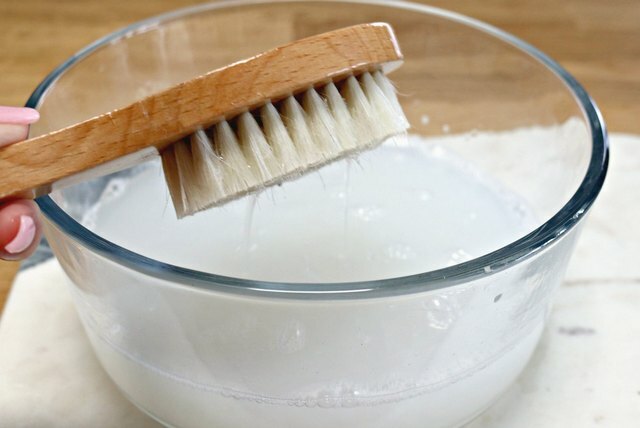 Use 2 tablespoons of dish liquid and 1 cup of warm water. 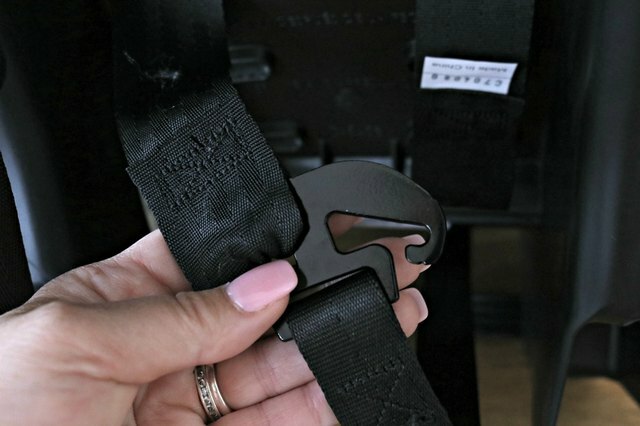 Step 6: Use soft brush and the cleaning solution to clean straps and buckle. And then use a clean, dry cloth on the straps and buckle after cleaning. 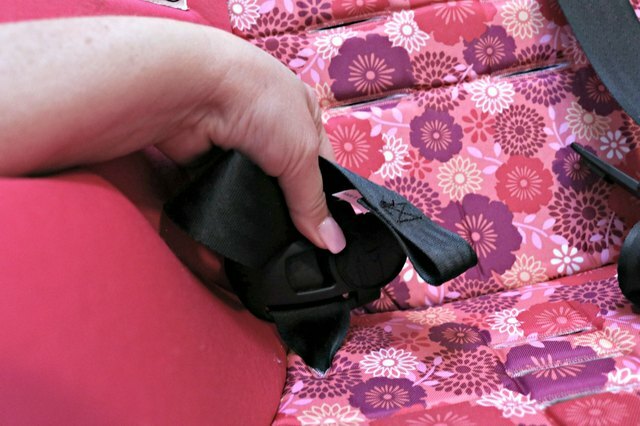 Step 7: Wipe down the carseat base using a cloth and the cleaning solution. 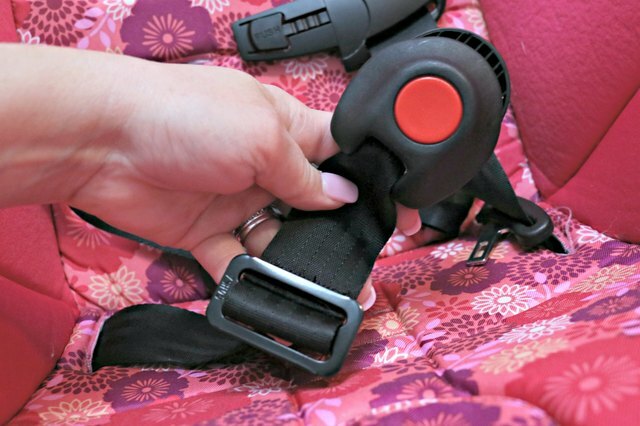 Step 8: Replace the car seat cover, straps and buckle. 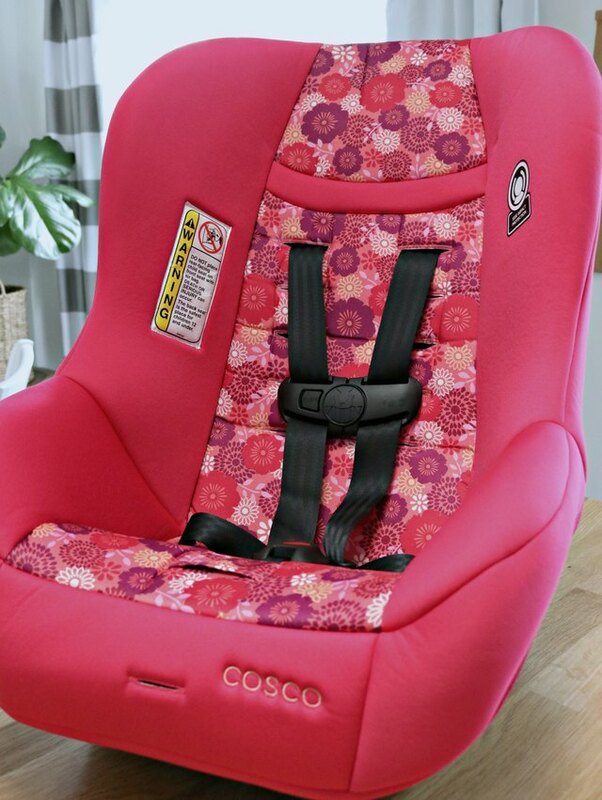 Loosely add the car seat cover, then pull straps back through openings and hook them onto the strap buckle in the back. 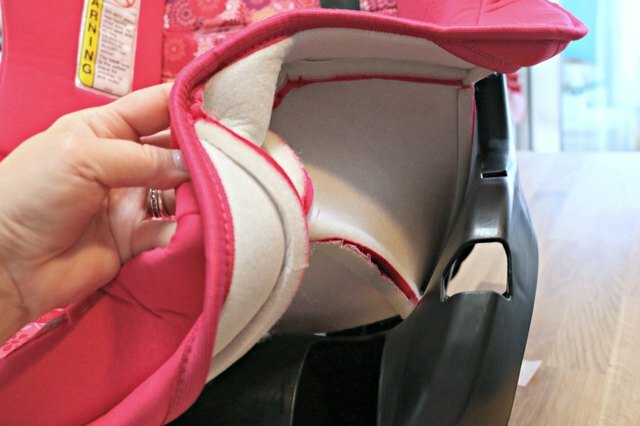 Do the same with the car seat buckle, being sure to secure it in the back. 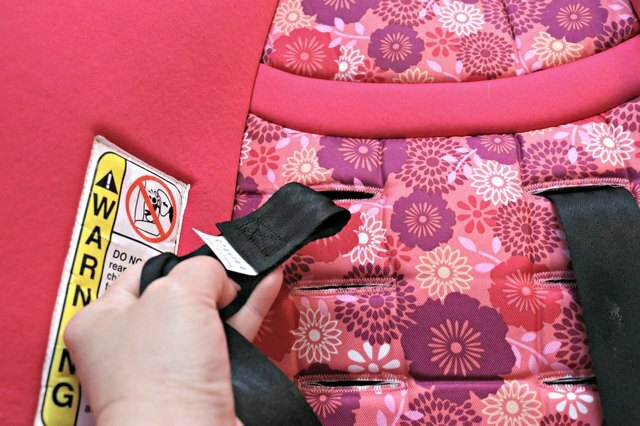 Once all straps and buckles are replaced, secure the car seat cover. 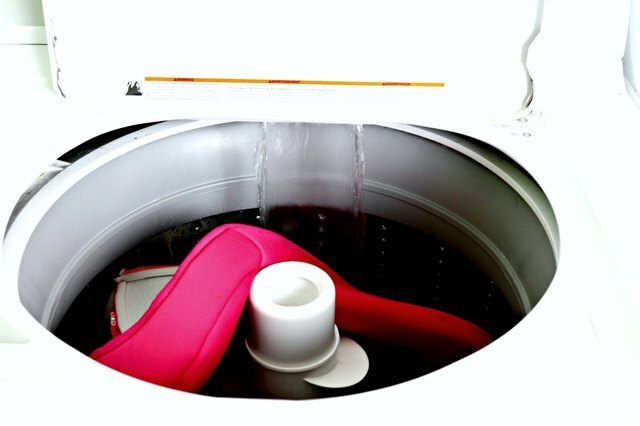 This entire process, minus the time it takes for the car seat cover to wash and dry should take about 15 minutes, and your child's car seat will be as clean as it was when you bought it!